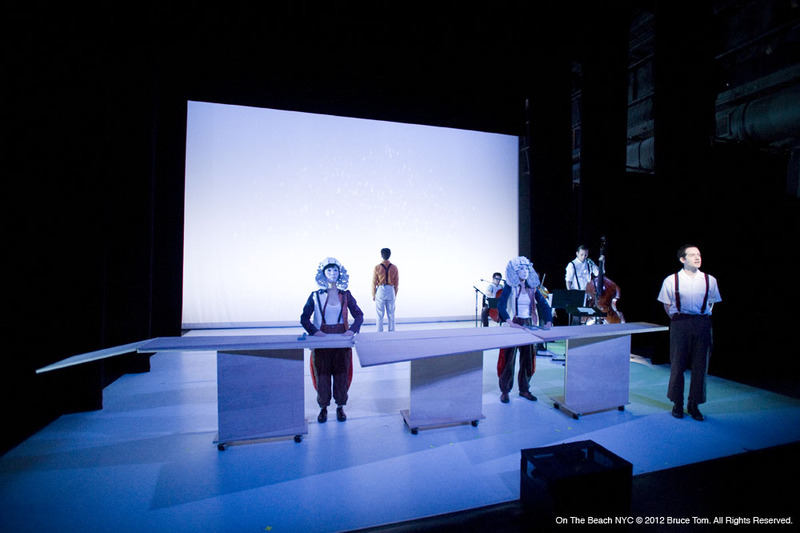 Degenerate Art Ensemble was commissioned by director Robert Wilson and the Watermill Center a Laboratory for Performance to create their own interpretation of his and Phillip Glass' seminal work Einstein on the Beach. This was the first time ever that Wilson and Glass permitted new interpretations of this work. 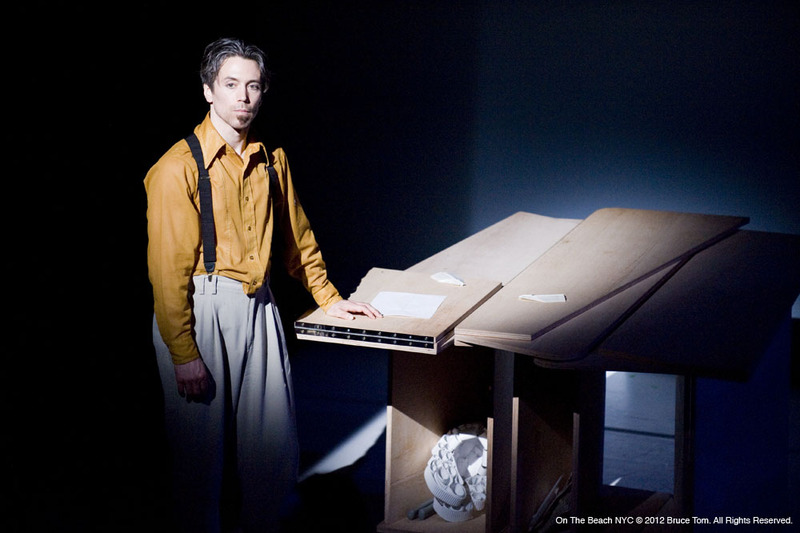 The production took place April 5-7 2012 at the Baryshnikov Center in New York, and celebrated the 35th anniversary of Einstein on the Beach. Mr. Wilson has selected five teams of emerging artists to re-interpret sections of this 20th century masterpiece. These artists have created new works inspired by five different sections of the seminal opera Einstein on the Beach, which was originally created in 1976 by Robert Wilson and Philip Glass. 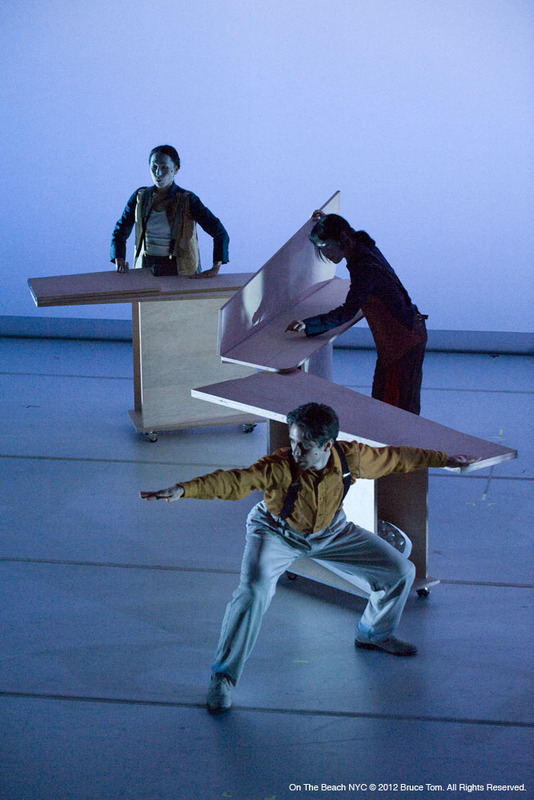 Four scenes and the Knee Plays are the sources of inspiration for this work. On The Beach celebrates a new generation of artists and their reactions to an opera that is widely recognized as one of the greatest artistic achievements of the 20th century. Scale model of the "Concord Table" created by Alan Maskin of Olson Kundig Architects. The table is now in the art collection of Robert Wilson at the Watermill Center in Southampton, NY.